BUENOS AIRES, Nov 4 2017 (IPS) - Argentina does not have the mining tradition of other South American countries, but this could begin to change. 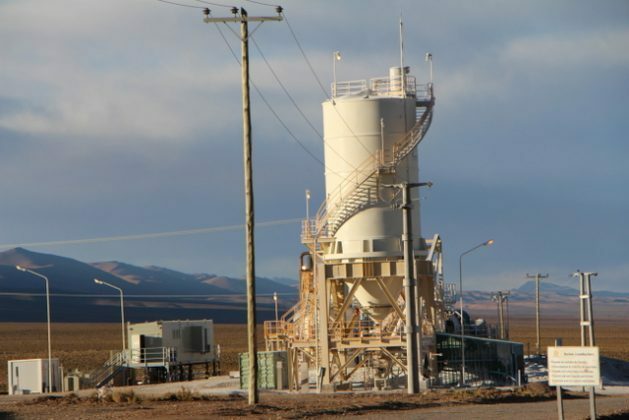 The government wants to draw 30 billion dollars in foreign investment to tap the great mining potential along the eastern slope of the Andes mountain range, stretching from north to south. However, added to the complexities involved in the task of seducing big capital, there is a major obstacle: the resistance of the environmental movement against large-scale mining, which in many parts of the country has mobilised entire communities and which has chalked up several major victories. 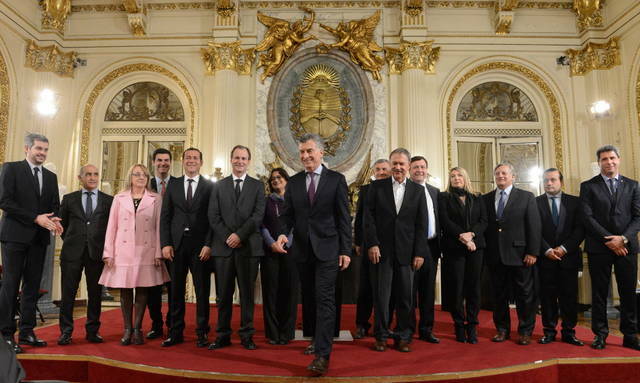 “We have a great opportunity to develop a resource that Argentina possesses and which could be even more important than what agriculture generates,” President Mauricio Macri said in June at the Casa Rosada, the seat of government, during an event also attended by governors and vice-governors of 12 of the country’s 23 provinces. On that occasion, Argentina signed the Federal Mining Agreement, which establishes uniform guidelines for the entire country in terms of royalties to be charged by the provincial governments, and minimal regulation of environmental protection. But, above all, the government was seeking to send out a signal of commitment to the activity and to dispel the doubts of investors, in a country where mining has been rejected by many communities. Under Argentina’s constitution, natural resources belong to the provinces, which set the rules with regard to environmental protection. Currently, there are seven provinces that have, due to social pressure, regulations that prohibit open-pit mining or the use of cyanide and other hazardous substances, which are usually used to separate valuable metals from rock. The pioneer in the anti-mining movement was the southern province of Chubut, in Patagonia, which passed a law in 2003, after the population of the city of Esquel protested to keep out a Canadian mining company that sought to extract gold and silver. The pressure forced the call for a plebiscite, in which more than 80 percent of voters rejected the mine. That milestone is considered the birth of the anti-mining movement in the country. “The social movement against mining is one of the best organised and most powerful in Latin America,” said Enrique Viale, founder of the Argentine Association of Environmentalist Lawyers. “That is the main concern of the national government and of companies, as evidenced by the fact that the Federal Mining Agreement stipulates that schools should teach the economic importance of mining. It seeks to indoctrinate the young, which we reject,” Viale told IPS. From the beginning of his term, Macri has been a staunch advocate of mining. In February 2016, when he had only been in office for two months, he eliminated taxes on mineral exports, as he also did for most agricultural commodities. He also authorised all companies to transfer dividends abroad, which was restricted until 2015, as part of measures aimed at fomenting investment and the creation of employment. However, the latest recent mining figures are not optimal. Mining exports in 2016 totaled 3.619 billion dollars, six percent more than in 2015, while in the first eight months of this year exports reached 2.186 billion dollars, 0.8 percent less than in the same period of 2016. This data is from a report by the economic consultancy firm Abeceb, which adds that there are 84,000 jobs in the sector, although there has been a 1.8 percent decline in jobs in the third quarter of this year. Argentina has granted mining rights over 266,000 square kilometers (almost 10 percent of the country's territory), mostly in the Andes mountain range that constitutes the natural border with Chile, but according to the Secretariat of Mining Development there is mining potential in over 750,000 square kilometres of the national territory. The main reserves are copper, gold, silver and lithium. Argentina’s mining potential is reflected by the fact that there is only one active copper mine, but 10 projects in an advanced stage of exploration and 85 in the initial stage, and only seven active gold mines and more than 200 in the stage of exploration. According to official data, the most advanced exploration projects have total combined reserves of 53.5 million tons of copper, 66.6 million ounces of gold and 2.4 million ounces of silver. Javier Cao, Abeceb project leader, clarified that, “without these measures favorable to mining, the latest numbers would surely have been worse”. This is the largest open pit mine in the country, which since 1997 has been producing copper, gold and molybdenum in the province of Catamarca, in the northwest of the country. Cao added that it also conspires against investments in places where the government has not yet defined which are the mountainous areas with glaciers. This generates uncertainty about the application of the 2010 Glacier Protection Law which prohibits mining on glaciers. “No one is going to invest the huge sums that mining requires, with the risk of being told later that it is on a glacier and it is being closed down,” he said. The law requires a “national inventory of glaciers”, which neither the previous government of Cristina Fernández (2007-2015) nor the current administration have carried out, which keeps delaying its enforcement. That is one of the main arguments of those who question the government because they maintain that it prioritises mining over the preservation of the environment. “These kinds of issues show us that the official discourse favorable to environmentally sustainable mining does not reflect the reality,” she added in her conversation with IPS. Marchegiani said that the main foreign investors in the mining industry in Argentina are Australia, Canada and the United States, while China still has very little weight, although its involvement is expected to grow, as it has elsewhere in Latin America. That is precisely the door that the Argentine government wants to open. This year, a Chinese company, Shandon Gold, already bought, for 960 million dollars, a 50 percent share of the Veladero gold and silver mine in the northwestern province of San Juan, which was operated by the Canadian company Barrick Gold, and was questioned by social and political sectors for repeated cyanide spills that affected water courses more than 4,000 meters above sea level.